The double acting cylinder is more common than the single acting cylinder. It works at any angle and in almost any application where hydraulic power is needed. In the double acting cylinder design, there’s fluid on both the base and rod sides of the piston, and force is delivered in both directions. Even for applications where gravity or weight can assist retraction, hydraulic pressure is often applied to control acceleration, meter the rate of travel, and cushion the stoppage. Travel in one direction always differs from travel in the other, all things being equal: the push action requires more force, and is slower, but more work output is generated. The pulling action is faster, but less work output is created. All of the double acting cylinder products manufactured by Best Metal Products are piston type. 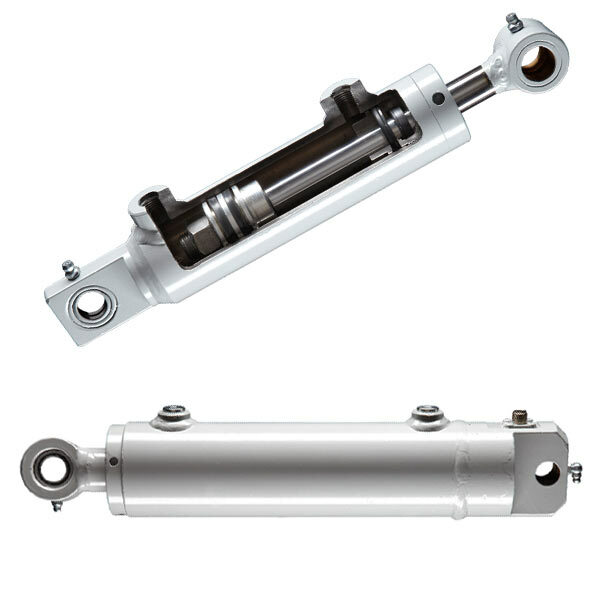 The hydraulic cylinder pushes against the piston while the seal prevents the bypass of hydraulic fluid. Best Metal is also distinctive in that we build four types of proprietary safety valves into our cylinders. As a group, these are known as “cartridge valves,” and they include pilot-operated check valves, flow control valves, internal bypass valves and counterbalance (“CB”) valves. The latter is particularly critical because it protects against “over-center” conditions. Finally, we have invested heavily in cylinder cushioning technology. Stopping fast travel in a precise, vibration free and repeatable way – a soft landing has significant advantages. It is a must for applications such as manually-controlled man lifts, but also highly desirable as a way to reduce mechanical stressors and lengthen the service lives of the cylinder and associated components.